While the United States failed to secure a place among the 32 teams competing in The World Cup in Russia, Panama and tiny Iceland are two countries who will be there for the very first time. 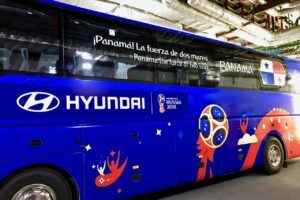 Neither Panama nor Iceland are leading contenders to win the overall competition, but they are expected to make gallant runs with hopes to go deep in the tournament. This is a very big deal for Panama! 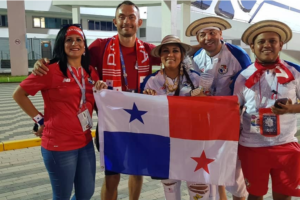 The Panama National Football (Soccer) Team has tried to qualify for every World Cup since 1978, and when they finally advanced, after 80 years, the day after the victory was declared a national holiday by Panamanian President, Juan Carlos Varela. School children and adults danced in the streets until well-past sunrise. 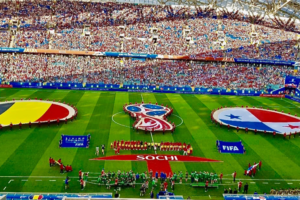 As one of Panama’s leading lifestyle bloggers, I feel strongly that I should provide an in-depth look at how Panamanians celebrate the World Cup, who goes to the games personally, the outcomes of the various matches and how Panama appears on such a world stage. 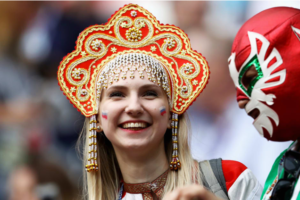 So, I will be posting blogs throughout the World Cup, with interviews of the players and personal stories about individuals who go to Russia and represent our country. Let me do the work for you, with stylized writing you can only get here! My reports won’t be canned statistics, but rather what makes Panamanians and Panama so very special. Are These Athletes Really From Panama? If you want to make sure you know every time I post a report, sign up for my newsletter so you are regularly alerted.